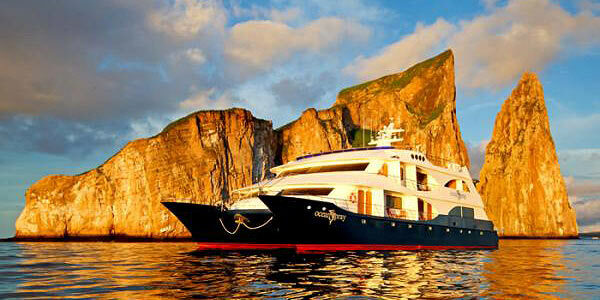 Visiting the Galapagos Archipelago is a once-in-a-lifetime experience, so it is worth doing it right! It is relatively expensive any way you do it, but you can choose a cruise according to your budget that will allow you to see as much as you can in the time you have available. 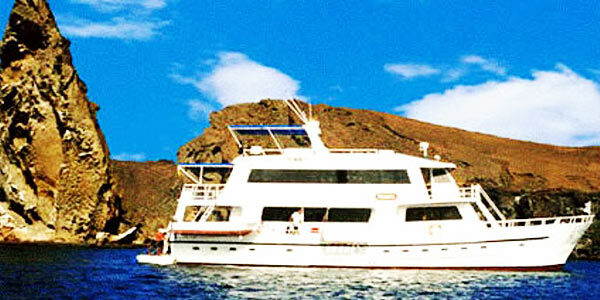 We always recommend at least a week in the Galapagos if your budget can stretch that far. Given that it costs $400-$500 to fly there, plus $110 for the park entry fee before you even set foot there, the cost per day for the extra couple of days will be well worth it! 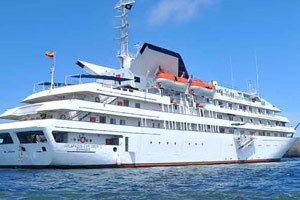 If you choose a cruise as your preferred method of seeing the Galapagos (click here for the land-based Island-Hopping options), then you can always elect to spend a couple of extra days staying in a hotel in Puerto Ayora from where you can either do free activities on your own, or book up for half-day or whole-day excursions to places you have not visited on your cruise. 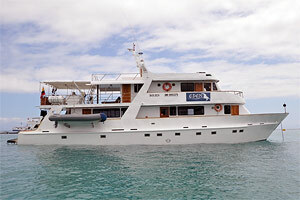 Contact us to help you get the best value from your time exploring the unique Galapagos archipelago. Our Recommendations . 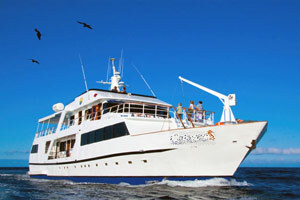 . .
Click on the options below to learn more about the Galapagos cruises that we offer. 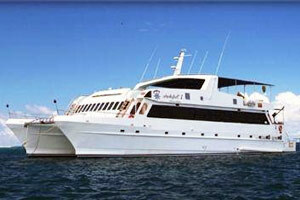 All come highly recommended as reliable and responsible tour operators with good reputations. 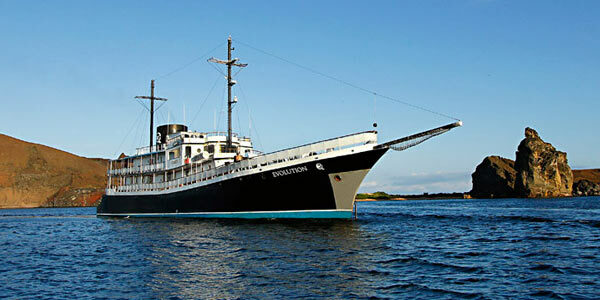 There are options for tourist class, tourist superior, first class and luxury cruises. Clicking on each section below wil take you to a list of boats that we recommend. Tourist-class or economy-class cruise boats offer basic amenities for the traveller on a tight budget such as students or back-packers. Generally these boats do not attract older clients, but if you are willing to forego some comfort and amenities these boats can offer a good option . . . Tourist Superior boats are mid-range, typically with a capacity of 12 to 16 passengers in up to 8 double cabins with private facilities. In terms of the guides, food, comfort and standard of amenities they offer a reasonable level, quite adequate for a good experience of the Galapagos Islands . . .
Guide Price: 8-day - $2300-$4250. - Find out more. 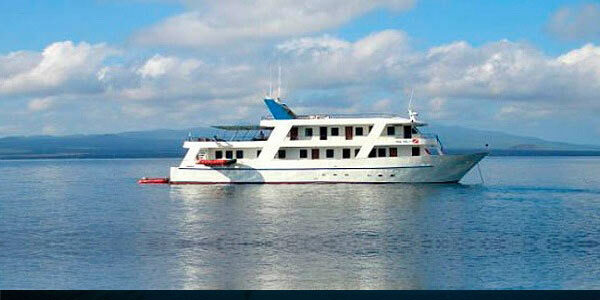 First class boats offer a high level of service with a greater range of cabin options. Generally they offer the widest variety in terms of comfort, stability, food, space, size of boat and number of passengers, etc. So it is wise to take into account your preferences when considering a first class boat . . . The deluxe class of boats offer the highest level of service all around, with the best naturalist guides, boats with bars, jacuzzis and even gyms. They fall into two principal categories - the large cruise ships with 40-100 people or more on board, and smaller luxury cruise boats. . .